Whether your credit score is low because you filed for bankruptcy or you haven't been practicing good credit hygiene, our picks can get you on the right path to making your credit score shine. Check out our top picks, some of which are from our partners, to find the best credit card option for rebuilding your credit score. If you don't have a credit history or are rebuilding credit, this card should be on your shortlist for its modest security deposit and premium rewards. This card includes one of the lowest security deposits we've come across in the secured category, making it a best-in-class pick if you're wanting to build or rebuild credit while reducing out-of-pocket costs. This is among the lowest APR cards out there. Your credit limit will always match your deposit amount ($200 minimum) allowing you the flexibility to increase it as you can. 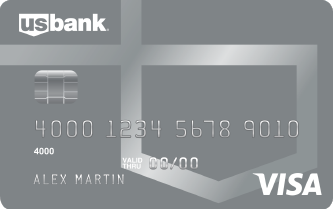 This card allows you to determine your credit limit by how much you deposit, ranging from $300 to $5,000. You'll earn interest on your deposit, and can take advantage of perks like free credit checks, car rental insurance, and fraud protection. Credit limit ranges from $300-$,5000 based on deposit. The deposit is put in an FDIC-insured savings account that earns interest and won't be touched as long as your account remains open and in good standing. Car rental insurance available at no additional cost if you charge the car rental on your card and decline rental company's collision damage waiver option. While bad credit can make it harder to get a credit card, it doesn’t make it impossible. In fact, card issuers now have a full line-up of credit cards for people with bad credit. And while they may not have the best rewards programs, or big sign-up bonuses, they offer a way for applicants to start building positive credit history that will pay dividends forever. Knowing which credit cards to apply for can go a long way in helping you find a card that has the highest chance of approval, so that you don’t waste precious time applying for cards that are -- for now -- out of reach. Let's dive in to learn why we selected these cards as the best cards if you have bad credit, and more. Before setting out to pick the best cards, we laid down a few “ground rules” for what we thought a card should offer in order to make the cut. We wanted to find cards that were useful, accessible, and offered perks that are most important to people working their way back from bad credit. A free way to build or rebuild credit (you shouldn’t have to pay fees or interest just to work on your credit score). A high chance of approval for every person who applies, because worrying about getting approved isn’t fun for anyone. A free FICO® score so that you can see where you started, and how your credit improves over time. Many cards ultimately failed one or more of these tests, but we settled on cards that have a value proposition that makes them far and away the best choices in the category. On The Ascent, we’ve written more than 2,500 finance articles for publications including Yahoo! Finance, MSN Money, and USA Today. We consider ourselves consumer advocates, helping people avoid common pitfalls in the financial industry, and taking aim at what we consider questionable industry practices that often target people with bad credit. After reading through this guide, and why we picked our favorite cards, we think you’ll agree that our picks are the best of the best. Bad credit is generally defined as having a FICO® credit score below 600. Late payments, limited credit history, and/or high credit utilization (high debts as a percentage of your credit limits) are all factors that can lead to a bad credit score. Believe it or not, bad credit is relatively common. Roughly 20% of Americans who have a credit score have a score below 600, and many more have no credit at all. You aren’t alone, and card issuers are increasingly rolling out cards that are designed specifically for people who have insufficient credit histories. Since every credit card application lowers your score a small amount, the last thing you want to do is apply for cards you don’t stand a chance at getting.If you’re unsure what card to choose, look for credit cards intended for repairing credit. You can also provide some basic information to the card issuer and see if you pre-qualify for any cards with them. This pre-qualification check won’t impact your credit at all. Bank of America, US Bank, and Wells Fargo all allow cosigners on credit card applications. If you have a friend or family member with a high credit score who’s willing to vouch for you, they could help you qualify for a better credit card than you’d get on your own. A popular option for consumers with bad credit is a secured credit card. These require you to pay a cash deposit, reducing the card issuer’s risk. The amount of the deposit will vary based on your credit score. Consumers with the lowest scores will need to pay a deposit equal to the credit limit on their card, while those with higher scores won’t need to pay as much. If you’re considering a secured credit card, the best options are the cards that can eventually graduate to unsecured credit cards. What this means is that after enough time has passed with no missed payments, the card issuer will refund your deposit while letting you keep the credit card. This is beneficial because you can get your deposit back without canceling the card and losing the history you’ve built with it. The cards with the biggest cash back and best travel rewards offers obviously require excellent credit. But that doesn’t mean all earnings perks are out of the question. There are some cash back credit cards for consumers with bad credit, such as the Discover It® Secured. Unfortunately, there are card issuers that take advantage of consumers with bad credit. They offer cards loaded with large fees, often with fee structures that are difficult to understand. If a card has any scheduled fees besides an annual fee, such as a maintenance or membership fee, look elsewhere. Whenever possible, try to choose a credit repair card without an annual fee. There are plenty of these available. Here’s a credit-repair option many consumers miss - - apply for a store credit card at a retailer you visit frequently. 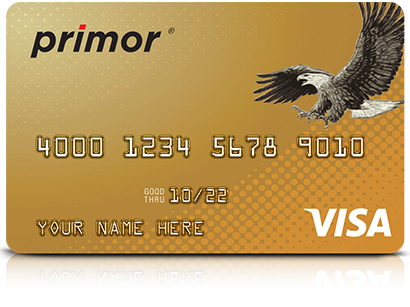 Several major retailers have their own credit cards that can only be used at the issuing retailer’s stores and website. Because these cards only work with the one retailer and companies want to avoid turning down customer applications, the application process isn’t as strict as it is with most other credit cards. Card issuers see you as more of a risk when you have a bad credit score, and they’ll mitigate that by starting you with a low credit limit. This means you need to monitor your balance carefully and avoid letting it get too high. If you have a $200 limit and you charge $100 to your card, you’re already at 50% credit utilization. That’s not good news for your credit score as it’s recommended that the best borrowers should keep their credit utilization below 30%. Avoid charging anything too expensive to your card, or if a large purchase is unavoidable, pay down the balance immediately instead of waiting until the statement date, when balances are reported to credit bureaus and your credit utilization is calculated. It can be depressing to have a bad credit score holding you back. Just remember that it will get better if you follow responsible financial habits going forward. After about 12 to 18 months of paying your credit card bill on time and keeping your credit utilization low, your credit score should improve significantly. In turn, you can take that higher score and apply for a credit card with much better benefits. A bad credit score leaves you with fewer options, but even people with very low scores can find credit cards they qualify for. Once you’ve been approved, you can get to work on making that bad score a thing of the past. If you have bad credit, getting approved is as easy as knowing which cards to apply for. The easiest credit card to get with bad credit is a secured credit card. Secured credit cards work just like any other credit card, except for the fact they require a deposit to open an account. The deposit acts as collateral, which protects the bank in the case you can’t repay your balance. While it’s easy to view the required deposit as a downside, it brings about a very important upside: Secured credit cards have higher approval rates than any other kind of credit card since the bank doesn’t take much risk in issuing them. How much you have to put down as collateral depends on the card. Some require you to make a deposit exactly equal to your credit limit, while others only require collateral equal to a portion of your credit limit. Importantly, the deposit you make to open a secured credit card does not relieve you of the burden to pay your balance each month. The deposit is held by the bank for a worst-case scenario, not so that you can skip a payment from time to time. You have to treat a secured credit card just like an ordinary unsecured credit card because it will report to your credit report just the same. To be clear, a secured card isn’t just a credit card for bad credit. They are also good credit cards for people with no credit or limited incomes. That’s because card issuers take much less risk if you’re approved for a secured card. If you don’t pay, the bank will use your deposit to pay off your balance, so your income and credit score aren’t as important as they are for unsecured credit cards. Capital One specifically details its income requirements in the terms and conditions of its offer. It says that applicants need to have monthly income that is at least $425 greater than their monthly rent or mortgage payments. Few issuers spell out their income requirements so plainly. Secured cards take a lot of the stress out of applying for a credit card with bad credit. Most employed people who can afford to make the deposit will find that they can sail through the process, and many can get instant approval online for a new secured card. Whether you’re starting with no credit, or trying to rebuild from bad credit, a credit card can be a smart way to build up your credit report and score. Here’s how to use a credit card in such a way that maximizes the benefits to your credit score without paying any fees or interest. Use the card infrequently -- You should use your new credit card, but don’t go overboard. Try to keep your balance at less than 30% of your credit limit at all times to get the most benefit to your credit score. (On a secured card with a $200 limit, this means never carrying a balance greater than $60). We advise people to use their secured cards for one or two small purchases a month… say, to pay for a tank of gas or for a recurring monthly bill (Netflix, or internet bills, for example). This keeps the card active while keeping your balance low enough that it won’t negatively affect your credit score. Pay on time and in full -- When your credit card statement comes in the mail, be sure to pay the full “statement balance” by the due date to avoid any interest or late fees. Note that the statement balance is not the minimum payment. The minimum payment is the amount you need to pay to avoid late fees or underpayment penalties. Paying only the minimum payment will result in interest charges on your account. You don’t want that. And you don’t need to pay interest to get a benefit to your credit score. Wait it out -- Building or rebuilding credit isn’t an overnight effort. With each passing month, having on-time payments and a low balance as a percentage of your credit limit will start paying dividends in the form of a better score. The best thing about credit reports is that problems become less important as they age (a 5-year-old late payment isn’t a big deal compared to a late payment two months ago). So, while the “bad stuff” grows older and less important, you’ll build many months of “good” credit history on your report, helping you improve your credit score faster. A credit card can be a useful financial tool, but it can also lead to trouble if used irresponsibly. Even though we use our credit cards for virtually all of our spending, we’ll freely admit that they aren’t for everyone. If the statements below apply to you, a credit card may be right for you. You’ll always pay on time -- Falling behind on payments can be a disaster for your budget (late fees are costly!) and your credit score. Only apply for a credit card if you know with absolute certainty that you’ll always be able to make a payment by the due date. Make use of bill reminders through the issuer’s website so that you don’t accidentally miss a payment. You won’t carry a balance -- Few admit it, but paying interest on a credit card balance is a choice. As long as you pay off your statement balance by the due date, you’ll never be charged a dime in interest or fees for carrying a balance. Given credit cards carry interest rates in the double-digits, building up a balance on your credit card can put you in debt that could take months or years to escape. Besides, it doesn’t make any sense to pay interest on a secured credit card, since the bank is quite literally lending you money that you put down as collateral in the first place. You have regular income -- A credit card can make it all too easy to spend money you don’t have, or don’t expect to have any time soon. If you have irregular income, work on building up a “rainy day” fund first, or use a credit card like a debit card and immediately pay off the balance after using it for a purchase. Spending money before you have it is a dangerous game to play. The three major credit bureaus are very good about explaining the five most important factors that go into calculating your FICO® credit score. And there’s good news! The factors over which you have the most control make up 90% of your credit score, so you have the power to make sure your credit score is as good as you want it to be. Here are the five factors that go into your FICO® score. Payment history (35%) -- How you have managed your bills in the past is a very good indicator of how you will manage them in the future. Most of your score is based on your payment history, which takes into consideration whether you’ve been late on a bill in the past, and how late you were (30+, 60+, 90+, or 120+ days late). Credit utilization (30%) -- How much you have borrowed as a percentage of the total amount available to you is an important part of your credit score. Credit utilization for credit cards is calculated by taking your balances and dividing them by your credit limit. So, if you have a $1,000 balance on a card with a $2,000 credit limit, your credit utilization ratio is 50%. Your credit utilization ratio is updated monthly, but experts generally suggest making sure to keep that number under 30% for best results. Length of credit history (15%) -- It should go without saying that a borrower who has 15 years of credit history for a bank to analyze is less risky than a borrower who has no credit history at all. The best way to maximize the benefit from this factor is to open a no-annual-fee credit card (secured or unsecured) and keep it open forever. The length of your credit score is calculated by looking at your oldest account, as well as the average age of all of your accounts. Having one credit card you keep open for the long haul can do wonders to improve this portion of your credit score. Mortgages, car loans, and student loans are eventually paid off and fall off your credit report, but a credit card can stay open forever. Credit mix (10%) -- This is the only factor over which you have very little control. This part of your score takes into consideration your experience managing different types of accounts. Someone who has a credit card (a revolving account) and car loan (an installment account) would have a slightly higher score than someone with just a credit card, all else equal. But you shouldn’t take out a different type of loan just to boost this part of your score. You can easily have an 800+ FICO® score (the best you would ever need to have) just by having a credit card that you use wisely and responsibly. New credit (10%) -- When a company looks at your credit report to make a credit decision, the inquiry is reported on your credit report for two years, but credit inquiries only affect your FICO® credit score for one year. Opening a lot of accounts in a short period of time is an indicator that someone is in financial stress and may know more about their financial situation than lenders do. Don’t avoid opening a new account just because of the small impact to your credit score, but don’t open a bunch of accounts in quick succession, either. The Motley Fool owns shares of and recommends Visa and Mastercard. We’re firm believers in the Golden Rule. If we wouldn’t recommend an offer to a close family member, we wouldn’t recommend it on The Ascent either. Our number one goal is helping people find the best offers to improve their finances. That is why editorial opinions are ours alone and have not been previously reviewed, approved, or endorsed by included advertisers. Editorial content from The Ascent is separate from The Motley Fool editorial content and is created by a different analyst team.